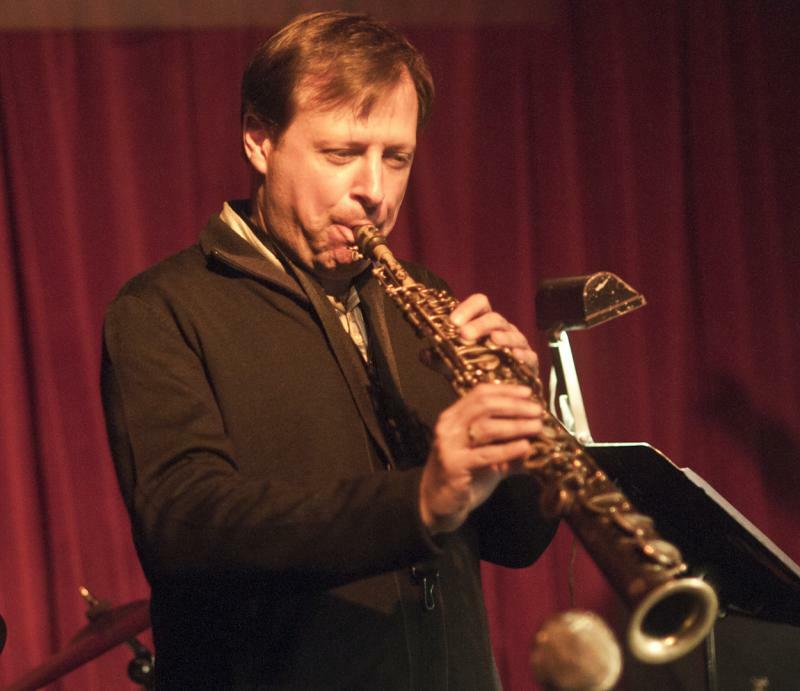 Chris Potter is one of the more impressive saxophonists you can see live nowadays. The quartet pretty much delivered exactly what I was expecting it to. With the exception of one standard, ‘Stardust’, all new tunes, most of which were not even titled yet. Chris’ compositions always have a great feel; he’s so comfortable rhythmically, he can do all sorts of really interesting stuff and make it feel so natural. He can imbue a song in 13/4 with a groove. Neither Joe Martin on the bass nor Marcus Gilmore on the drums got enough time to really stretch out. Martin only took one solo, on ‘Stardust’, and it was killer. Gilmore, who also only took one ‘solo’ (although he had a relatively forward presence in the sound of the band) turned out to be a real highlight. He has such a lyrical feel for the drums. If Jeff Ballard with Brad Mehldau was a case where a drum solo was technically impressive but difficult to sit through, Gilmore’s solo was deceptively simple sounding but eminently enjoyable to hear, like he was composing a piece rather than just showing off his chops (which he has in spades as well). Alfredo Rodriguez, who opened for Chucho Valdes at McCarter, is new to me. Apparently he has been generating some buzz these last few years, which is understandable as he has some chops. I found his playing, however, aggravating at times, whether for a difference in aesthetic sensibilities or because he hasn’t quite found his voice yet, I can’t say. His solos read like disconnected snippets that never really meshed or resolved, like a paragraph written with nothing but subordinate clauses. The first song in particular I had trouble getting through, although he did redeem himself with one or two later songs. The saving grace for the performance was, really, Francisco Mela on the drums who is an absolute joy to hear. I’ve seen him before, both with his own group and as one of the drummers in Joe Lovano’s ‘Us Five’ band, and I was happy for the chance to see him again. He’s an incredibly sympathetic drummer, listening to his band mates, playing off them, keeping the music grooving forward despite the somewhat nihilistic tendencies of the pianist. If Alfredo spoke only in half finished clauses, Francisco provided the punctuation that turned it into actual music. And, like Gilmore, his solos have a great lyrical quality. I got Chucho Valdes and the Afro-Cuban messenger’s album “Chucho’s Steps” when it came out and loved it. Despite a poor house sound job (the saxophone sounded tinny and distant) the show delivered. The music is joyous, nothing short of infectious, but Chucho knows how to give it just enough of an edge. He was actually surprisingly avant garde, never afraid to go outside the tonality or bring in some weird polyrhythm (like interlacing Brubeck’s ‘Blue Rondo a la Turk’ theme in 9 with a mambo beat in 4). Major props have to go to drum and percussion team who really kept it up (and it was a work out for them). My favorite song in the set list was “Zawinul’s Mambo”, a mambo made up mostly of different themes from Weather Report’s “Birdland”.